Releasing our 2017 Chardonnay this weekend! Highway 421 to exit 79 at Highway 21 with severe delays, take alternate routes! Our award winning wines are named with musical terms which depict their origin, composition or sensory characteristics.We currently offer 10 wines; red, white and rosé varieties. Tastings are $10 for 10 wines, or $6 for any 5 wines and includes the etched stemless logo glass. FOR STATES OTHER THAN NC , PLEASE GO TO SHOP, SELECT YOUR STATE,THEN CLICK ON LINK TO OUR FACEBOOK STORE !!! 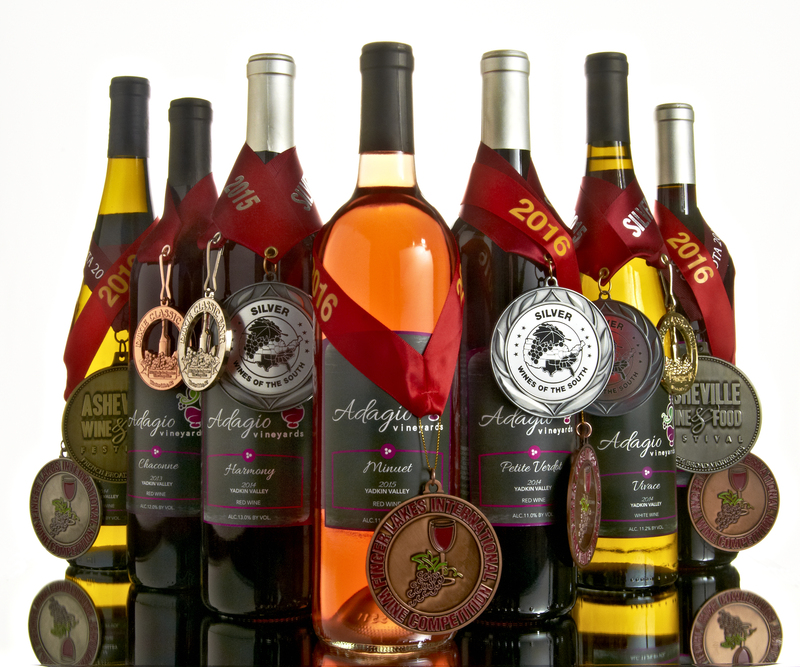 Visit our online store to order your favorite Adagio Wines, join our wine club, or sign up for unique art classes. Where all five senses are met with exceptional elegance! and by appointment for groups of 4 or more!